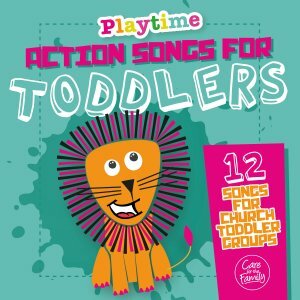 Essential Christian have teamed up with Playtime - who are part of Care For The Family and provide advice, ideas and support for toddler groups - to create a special selection of action songs for toddlers. The twelve chosen songs include classic favourites 'Father Abraham' and 'Great Big God', alongside the popular 'I Reach Up High', 'Who's The King Of The Jungle', We're Gonna Clap Our Hands' and 'The Lions Roar'. With fun and exciting songwords, meaningful story content and melodies that are easy to move and dance to, these songs are ideal for toddler groups, play schools, churches and families.